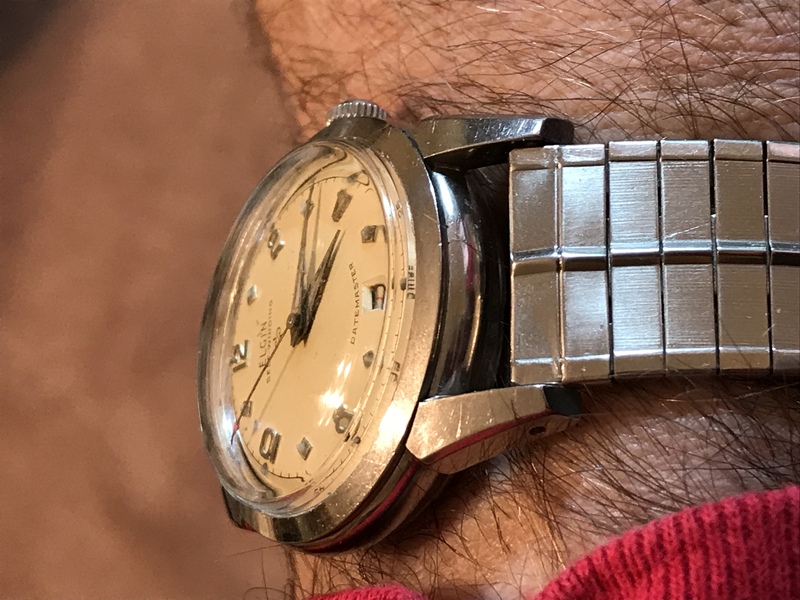 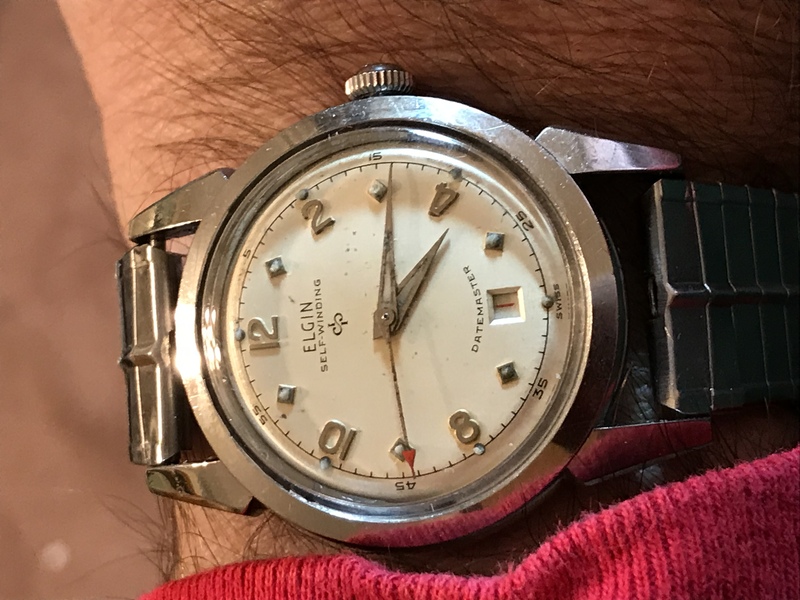 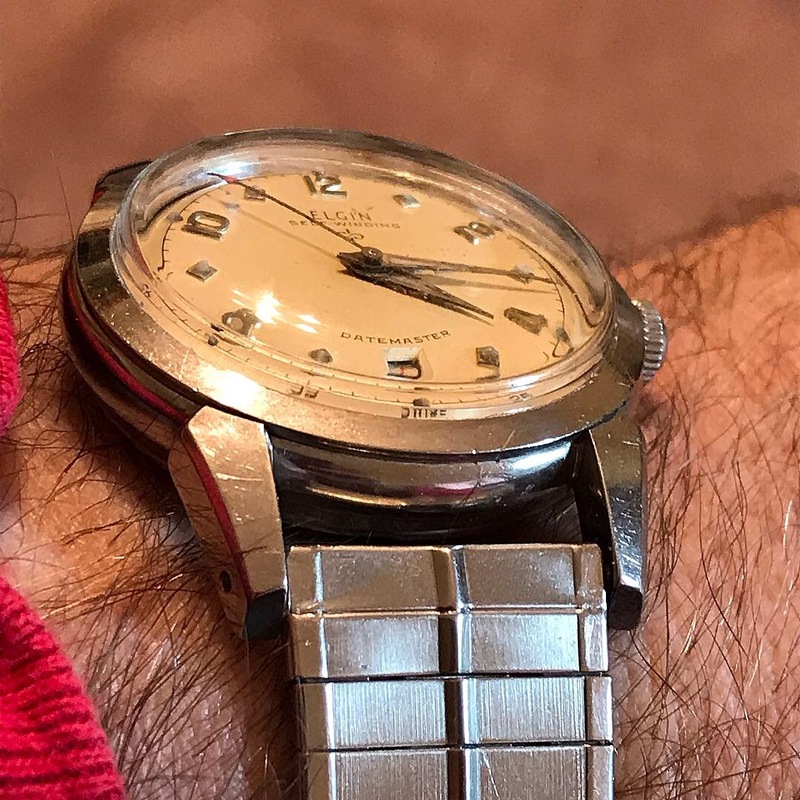 Mid 50s Elgin DateMaster | Grumpyguy Inc.
My guess is that the Datemaster line debuted in the mid 50s along with Swiss sourced automatic line. 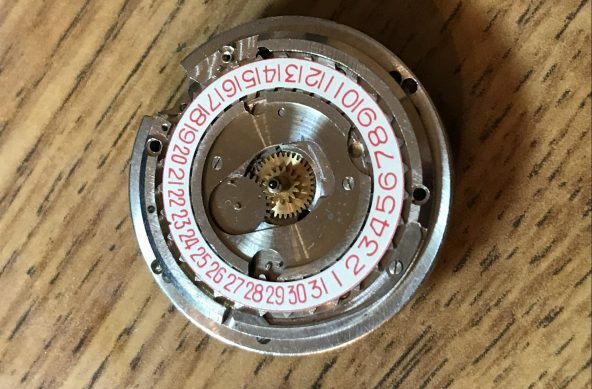 The design of the rotor matches that of the 643 and 645. 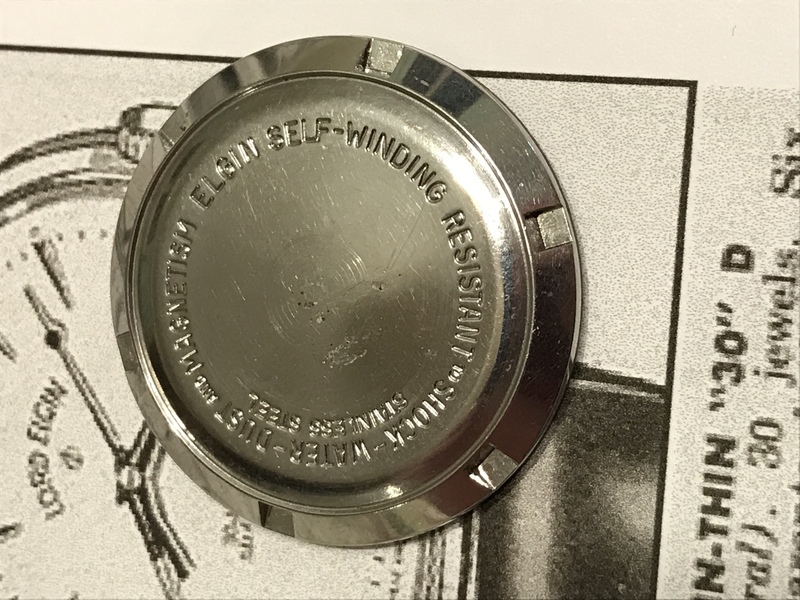 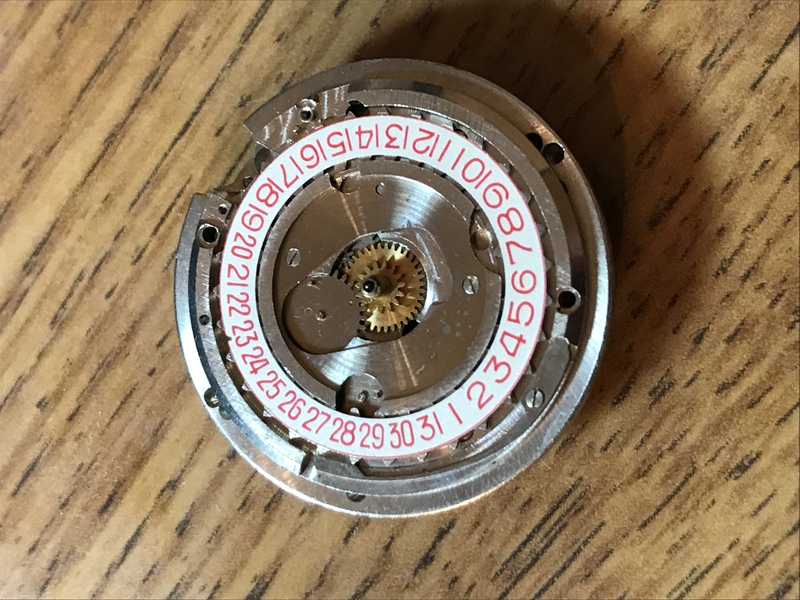 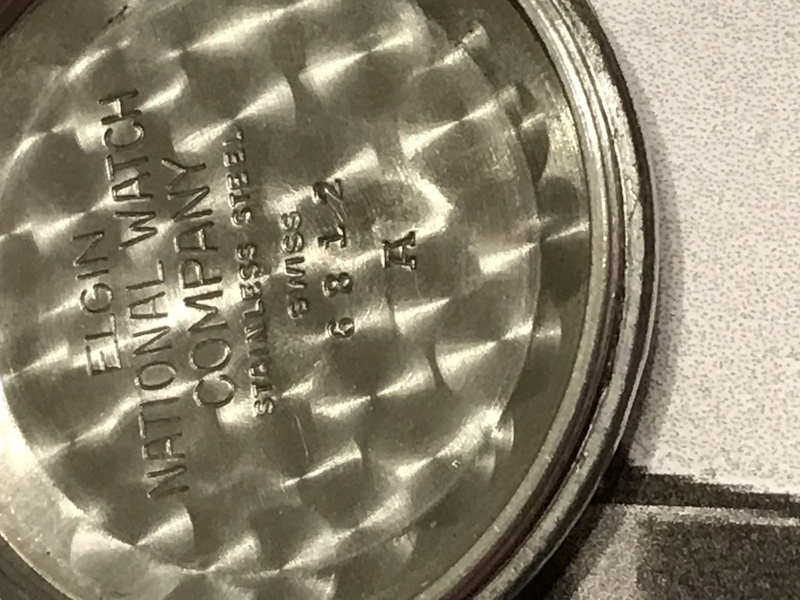 This Datemaster has the case number 6812. 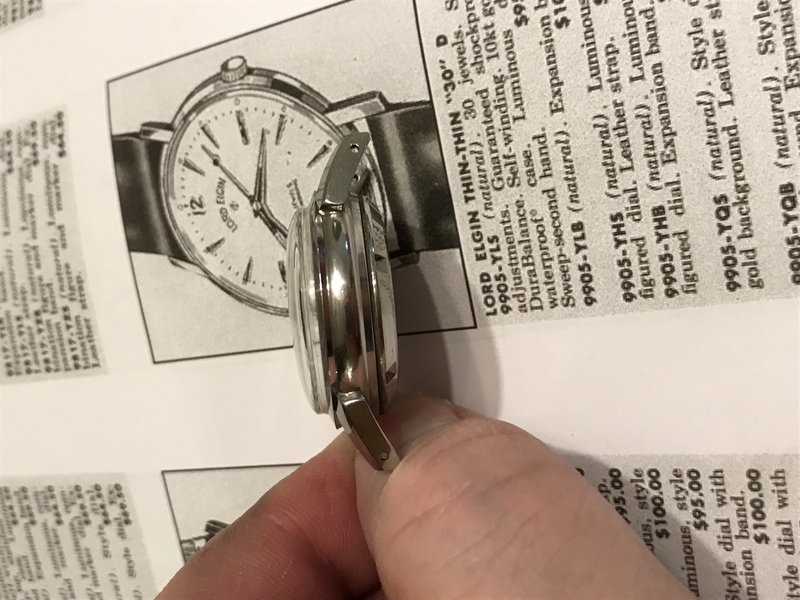 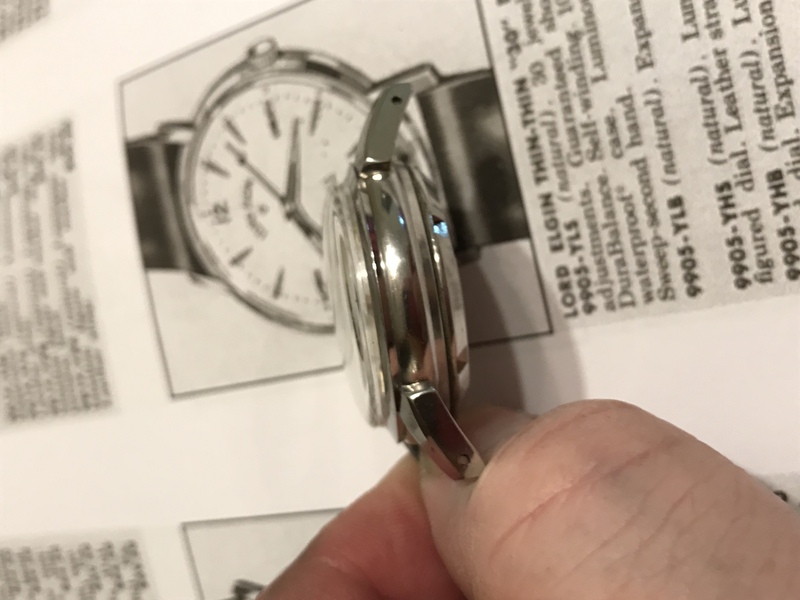 It uses a 17 jewel automatic movement with a date wheel. 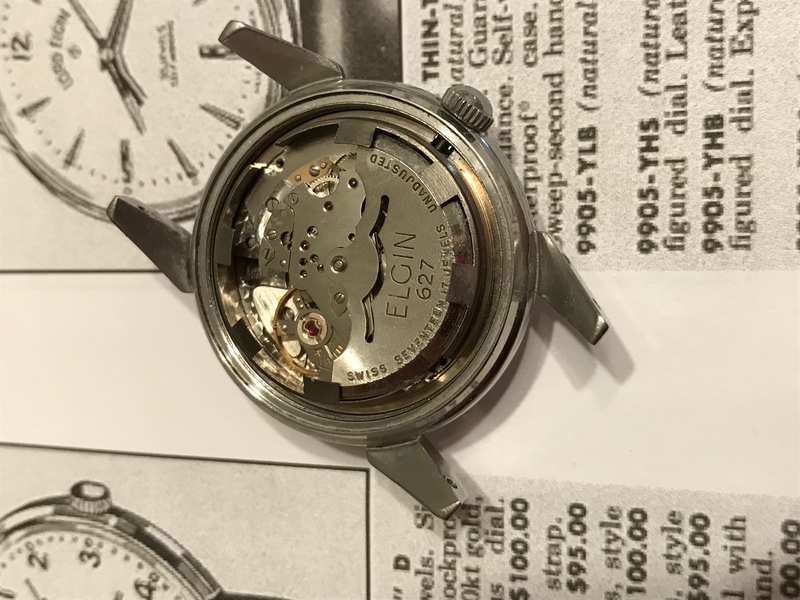 Elgin assigned it as the 627. 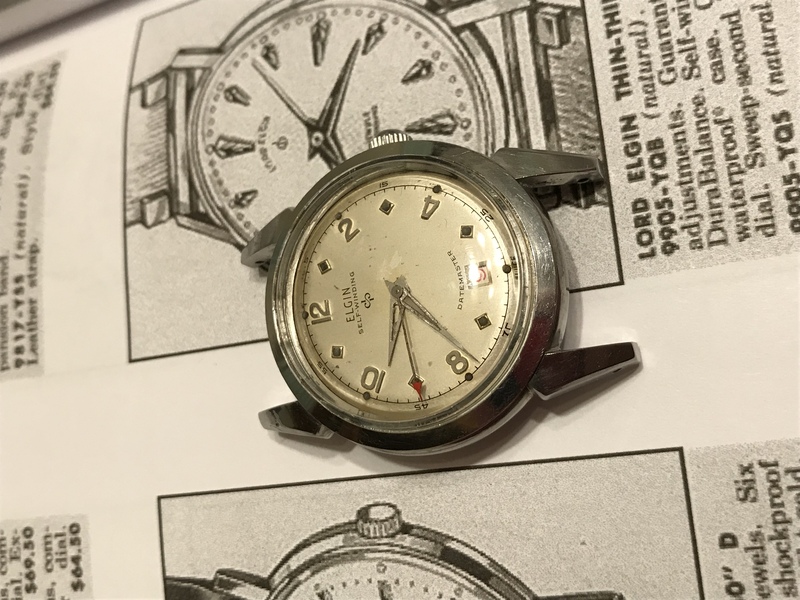 While the dial has a bit of “character”, it all runs rather well, with the date sharply snapping over a few minutes before midnight.